The Supreme Court has fixed Tuesday, December 10th, 2013 for hearing of Suit No. SC 35/2013 between Dr. Umar Ardo (appellant) and Admiral Murtala Nyako, PDP & INEC (respondents). The case is a pre-election matter in which Umar Ardo the appellant is challenging the nomination of Gov. Murtala Nyako as the PDP's gubernatorial candidate of Adamawa State for the February 2012 governorship election in the state. According to Ardo, he is contending that the party did not conduct the mandatory congresses to elect the 3 Ad hoc Delegates per ward for the nomination exercise. Dr. Ardo had also approached the Federal High Court Yola praying the court to: declare null and void the procedure adopted by the PDP for the nomination of Gov. Nyako as its gubernatorial candidate on the ground that it was in breach of the the Party's Electoral Guidelines. The aspirant is also asking the court declare that there was no validly nominated PDP Candidate for the 2012 gubernatorial election in Adamawa state; and order the PDP to conduct fresh Gubernatorial Primaries between the appellant and the 1st defendant. The learned trial Judge, Hon. 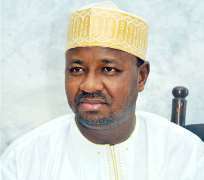 Justice SM Shuaibu on 20 January 2012 dismissed the Dr. Ardo's claims, dissatisfied with the judgement Dr. Ardo appealed to the Court of Appeal Yola Division. On 26 February 2013, the Court of Appeal also dismissed Dr. Ardo's appeal, dissatisfied with the judgement Ardo appealed to the Supreme Court by a Notice of Appeal dated and filed on 28 March, 2013. The matter has taken two years since its institution in November 2011. With the general election having now already been conducted and the PDP having emerged victorious, Ardo is contending that whosoever wins in the ordered fresh nomination exercise be sworn-in as Governor.